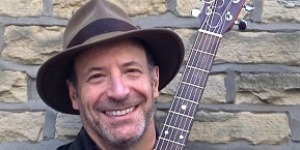 Created and performed by singer, guitarist and writer Will Kaufman, bringing to the stage the stories and songs of the folk music legend whose songbook is used as a historical commentary on the Dust Bowl, the Great Depression, the New Deal and even the state of popular music itself. Kaufman is a professor of American literature and culture at the University of Central Lancashire, England. He is the author of Woody Guthrie, American Radical (2011), Woody Guthrie’s Modern World Blues (2017) and Mapping Woody Guthrie (2019). People interested in attending are encouraged to reserve their free tickets in advance, via this online sign-up sheet.